Restoration and relaxation! The ultimate treatment for that individual looking to just simmer down and unwind. Long relaxing gentle strokes, offering serenity, relaxation, and stress relief. The ultimate in relaxation! This softer yet firm touch massage incorporates smooth gliding strokes to promote blood circulation and help release toxins from the muscles – followed by Deep Muscle work as needed to release tension and knots. By far, the most demanded massage service requested. Integrative treatment with massage. 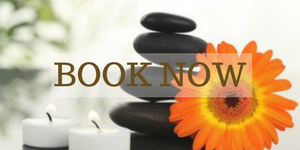 Experience the powerful relaxation and rejuvenation when you combine massage with energy work. Deep tissue massage is designed to relieve pain and muscle tension throughout the body. This type of massage is extremely beneficial because it reaches the deepest layer of muscles, fascia (connective tissue surrounding the joints) and tendons. The goal in deep tissue massage is to break down adhesions (tense areas within the muscle). This type of massage can be used typically before, during and after athletic events to prepare an athlete for peak performance. This service helps to drain away fatigue, relieve swelling, reduce muscle tension and promote flexibility – to reduce the chance of injury. Heated smooth, flat stones are placed on key points on your body. The ultimate massage experience utilizing heated basalt Hawaiian stones with long rhythmic massage strokes. Allows for more muscle manipulation, without the heavy pressure. It is both warm and relaxing. We request 24 hours advance notice for Hot Stone treatment. Traditional Thai massage uses no oils or lotions, and the recipient remains clothed during treatment. There is constant body contact between the practitioner and the client. It utilizes an interactive manipulation of the body using passive stretching and gentle pressure along energy lines of the body. Practitioners apply pressure along meridian lines with their thumbs, hands, elbows, and feet to stimulate the movement of energy in the body. They also move and stretch their clients in Yoga-like poses to free muscular and joint tension. This method of massage is designed to be both relaxing and stimulating. Thai massage improves flexibility, reduces tension, stimulates internal organs, and offers mental well-being and overall balance to the body’s energy system. Our newest Therapist, Shannon Lemire, LMT will be offering this amazing new modality. Experience the touch of a slow unwinding relaxing massage, breathe in the gentle balm of essential oil therapy, surround yourself within the vibrational sounds of Tibetan singing bowls, receive calm restorative alignment through energy work and ground yourself with the luxurious benefits of a smoothing Sea Salt Foot scrub Massage – This Treatment has it ALL!! Ground yourself with the benefits of a skin smoothing Sea Salt Foot Scrub Massage! Exfoliates, regenerates, promotes great skin tone and glow. This form of bodywork uses light pressure to stimulate trigger points in the feet. A signal is sent throughout the nervous system to problem areas, helping them to resist stress and achieve healthy function.